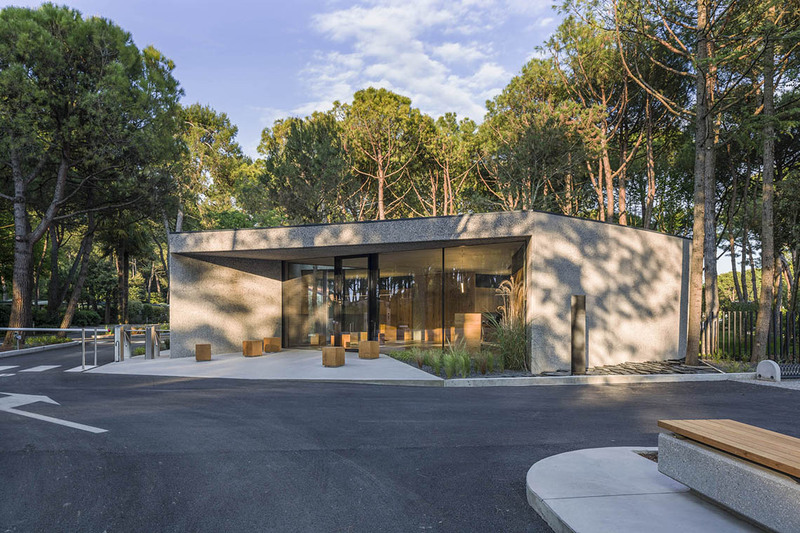 The project of the new entrance for Camping dei Fiori in Cavallino (Venice) consists in building a new reception and the reconfiguration of the outdoor spaces nearby. 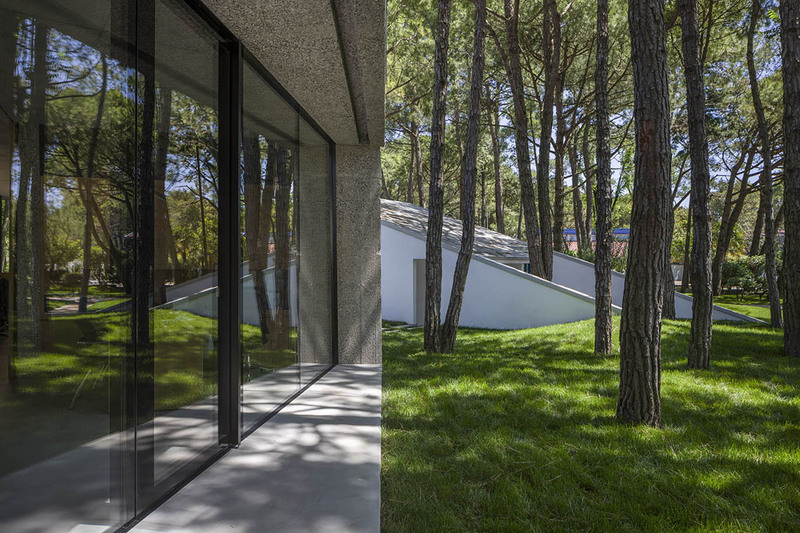 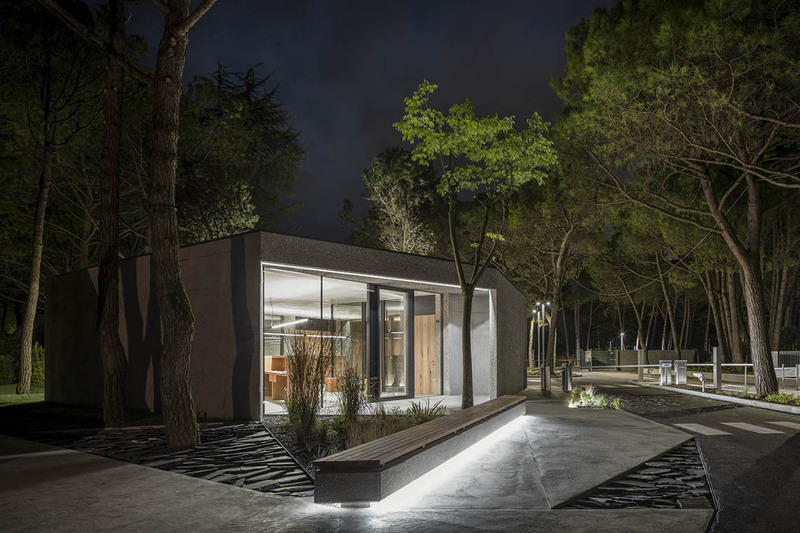 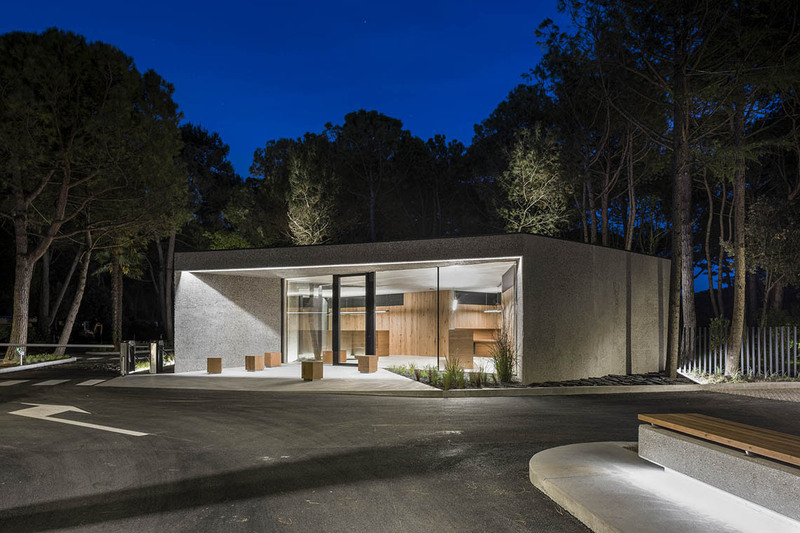 The compositive, perceptive and material aspects of the project are dictated by the symbiotic relationship with the pinewood, the desire to preserve the existing high timber trees, for example, determines the polygonal shape of the building, a compact volume weathered by the empty spaces of arcades and cloisters in which space becomes a hybrid between the inside and outside area. 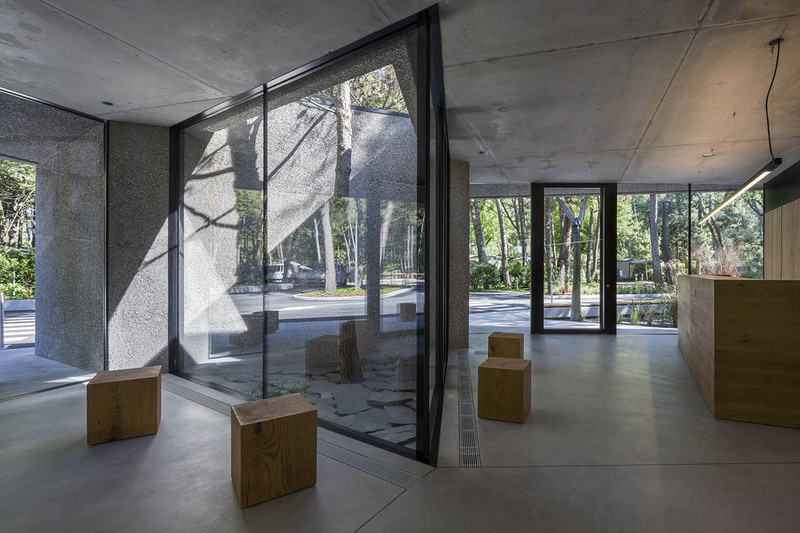 The three opaque prisms designed for facilities such as Kitchen, warehouse and bathroom mark off interstitial spaces for check-in, check-out and booking. 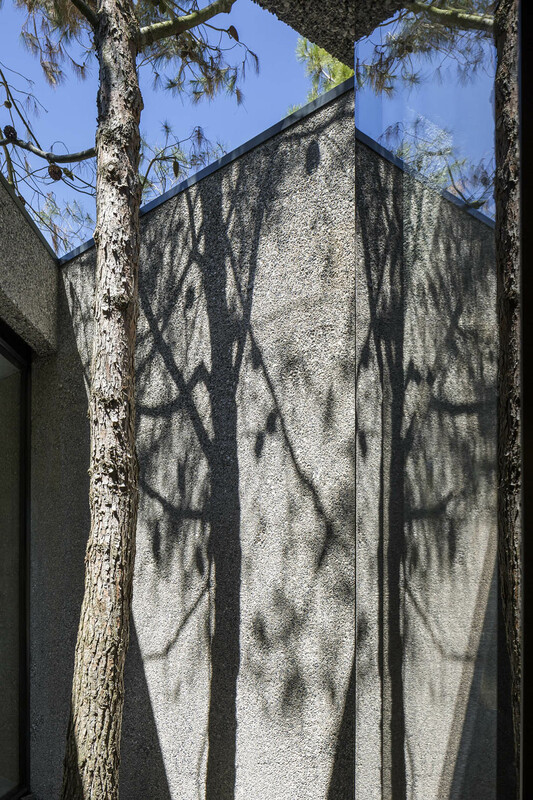 The windows that connect them allow the view of the entire building, returning an image that is the result of the continuous overlap between the natural and the anthropic plan. 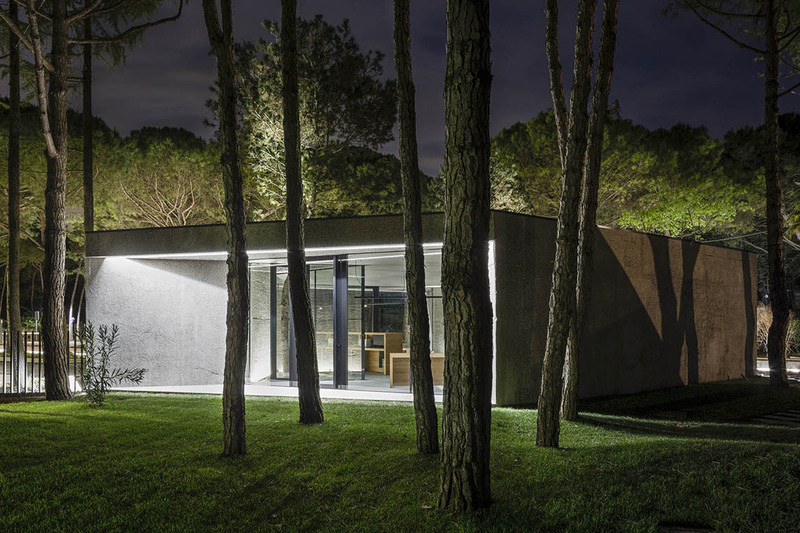 The structure consists of a double wrapping of concrete interposed by an insulating system, the internal one meets the structural needs while the external one fulfils the insulation and facade functions. 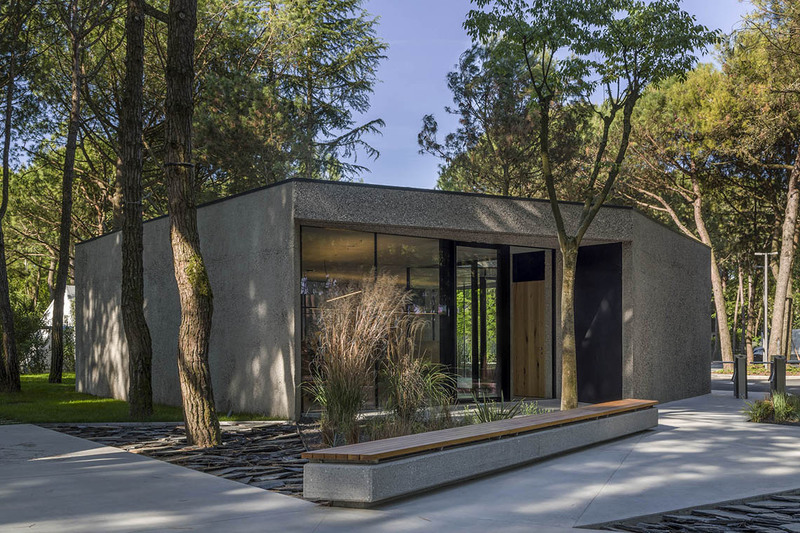 The construction materials such as concrete, basalt and wood are checked and proposed through different application techniques. 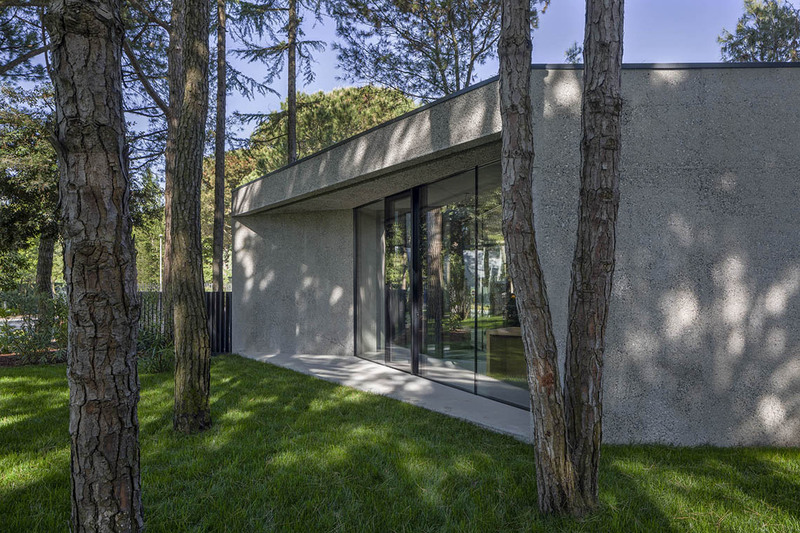 The concrete of the outer walls is made rough by washing the casting surface , making it so easy to be attached by atmospheric agents and moss, which are able to modify them as time goes by, making them close to the colours of the pinewood. 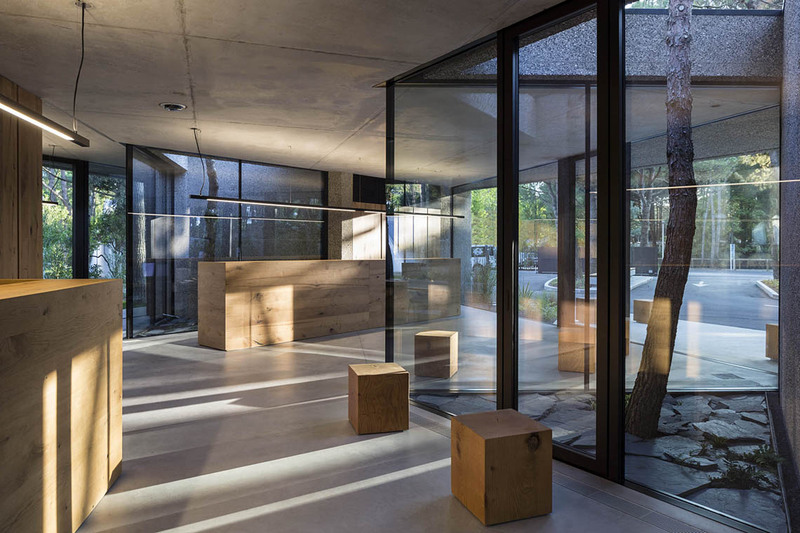 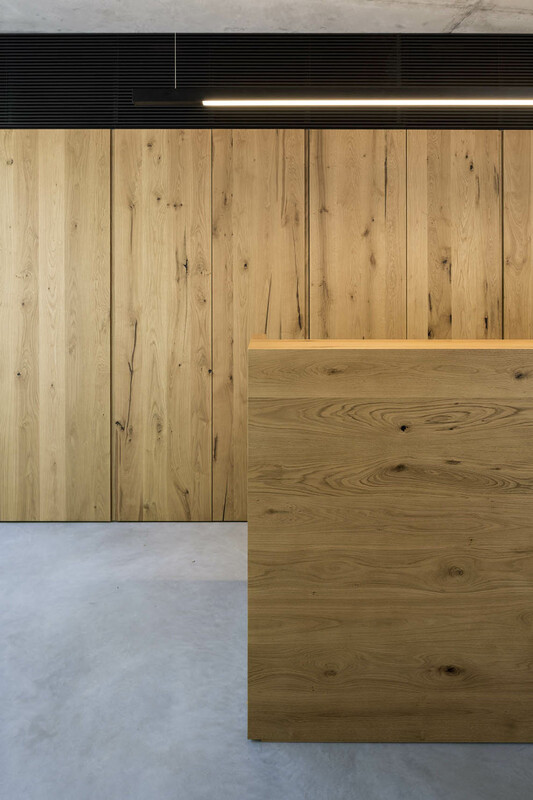 The exterior benches are characterized by a sandblasted surface, while floors and attics are proposed with smooth dressings in contrast with the cross-grained oak wood used for the furniture. 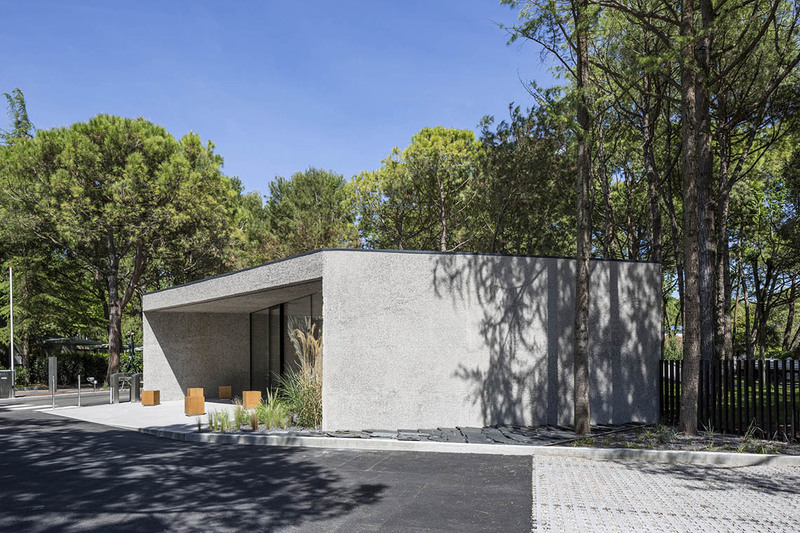 The external structure defines a new orography consisting in alternating paths in smooth concrete, shrubs and flowerbeds in basalt.